Having good, positive role models is very important for children and teenagers. Kids look up to certain people in their lives. They look to their role models as an example when they have decisions and choices to make. manual on how to become the person they want to be. Coaches are one of these role models that they look up to. This is a big responsibility, and shouldn’t be taken lightly. You’re in a position where you can help change many young lives for the better. 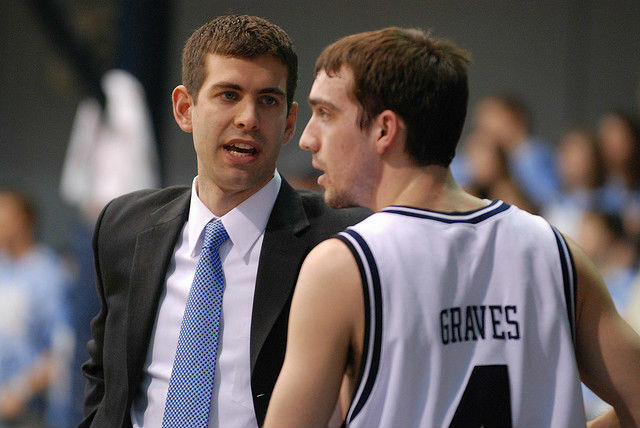 As a coach, you’re not just a basketball coach, you’re a life coach. Who are the Role Models in a Childs Life? First and foremost, a child’s parents should be their primary role models. Parents should do everything they can to set a good example for their children. Some parents follow the ‘do as I say, not as I do’ philosophy, telling their children the right things to do, but not necessarily demonstrating the right things to do with their own actions. To be a good role model, parents need to be the people that they would like their kids to grow up to be. They need to lead by example, actions speak louder than words. Next in line are the child’s teachers and coaches. Many parents today have very busy lives and a child’s teachers and coaches may actually spend more time with them than the child’s own parents. Teachers and coaches also need to do everything they can to be a good example for the kids in their care. There are many things you can do to be a fantastic role model for your players. The most important thing was mentioned earlier, and that is to be the person you would like your players to grow up to be. Lead by example and show them what a good person is. You want your players to learn from you by following your actions. Remember this one very important piece of advice: You teach by your actions. ‘Treat others how you want to be treated’. Teach your players how to treat others with the utmost respect. Never belittle another person just to make yourself feel more superior. Don’t allow your players to trash talk an opposing team or badmouth the officials, teach them by your actions to treat everyone with respect. Your players have made a commitment to be a part of the team and they need to be held accountable when they do not follow the rules. Let your players know that you expect them to show up on time for practice and to work hard during practice and during the games. To hold your players accountable to their commitment on the team, you must be willing to bench your best players in order to make a point if need be. You can’t allow your better players to get away with breaking the rules just because they’re one of your star players. All players need to be help equally accountable. This is by no means a definitive list of what makes a good role model. There are many more than two characteristics, but I believe these two to be the most important of all. The biggest thing to take away from this article is that as a coach, you’re a role model. Whether you like it or not your players will look up to you and learn from you. You need to show your players that you possess these qualities, and that you expect the same from them.